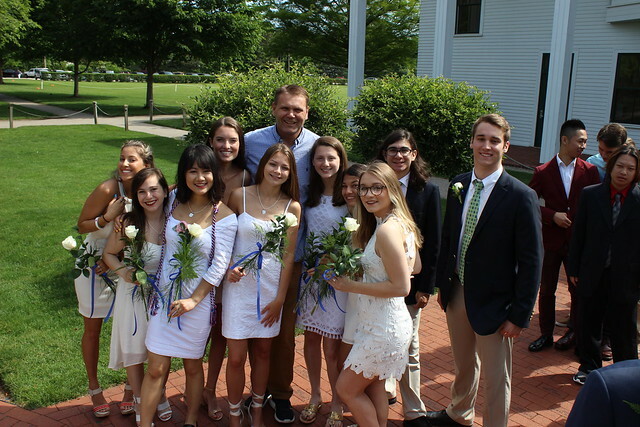 Rocky Hill School held its Commencement Exercises on Friday, June 8 at 10:00 a.m. for the 30 graduating members of the Class of 2018. The Honorable Ronald K. Machtley, President of Bryant University, addressed the Class of 2018. Hannah Wahl-Dunnigan of West Kingston, RI addressed the school community as valedictorian. Hannah earned the distinction by having a cumulative grade average greater than 93% over four years in the Upper School. At the annual Academic Awards ceremony on June 7, she was awarded the Lillian Boynton Hale Art Award and the Chinese Scholar Award, and was inducted into the National Spanish Honor Society and the National Chinese Honor Society. Hannah will begin a dual-degree program at Brown University and Rhode Island School of Design in the fall of 2018. Listed below are the members of the Class of 2018 and their hometowns.